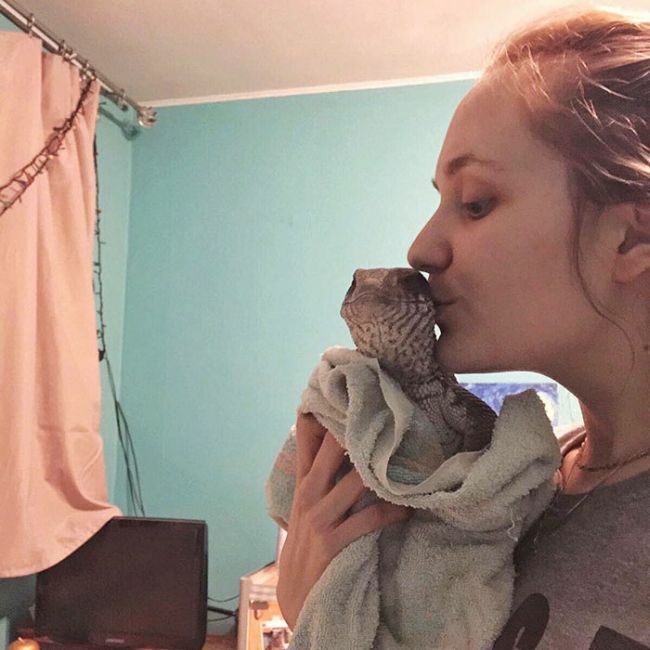 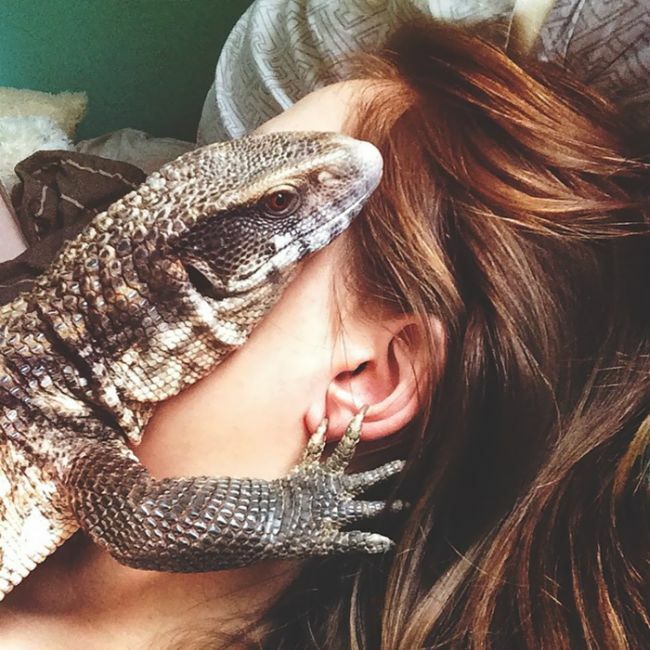 Reptiles are a different kind of pet. 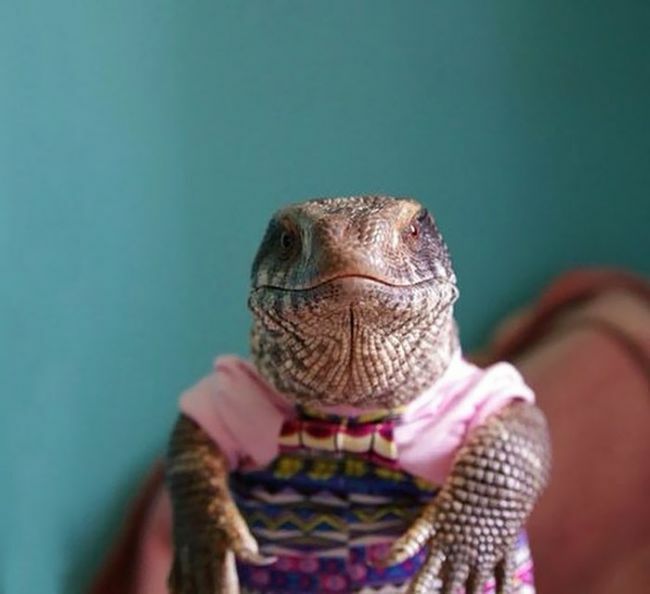 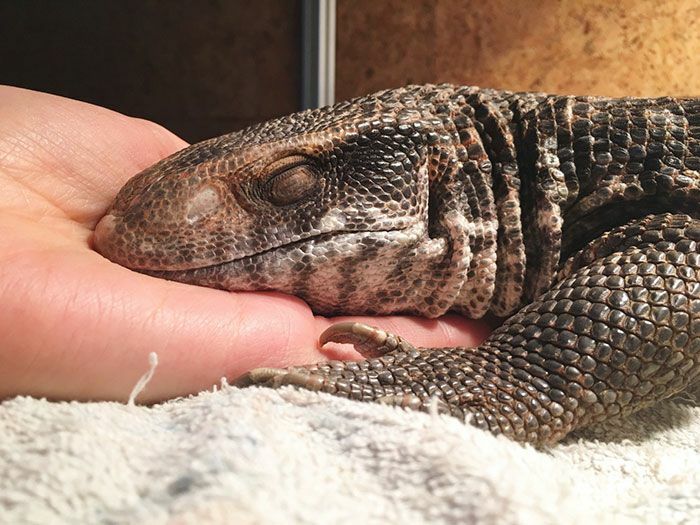 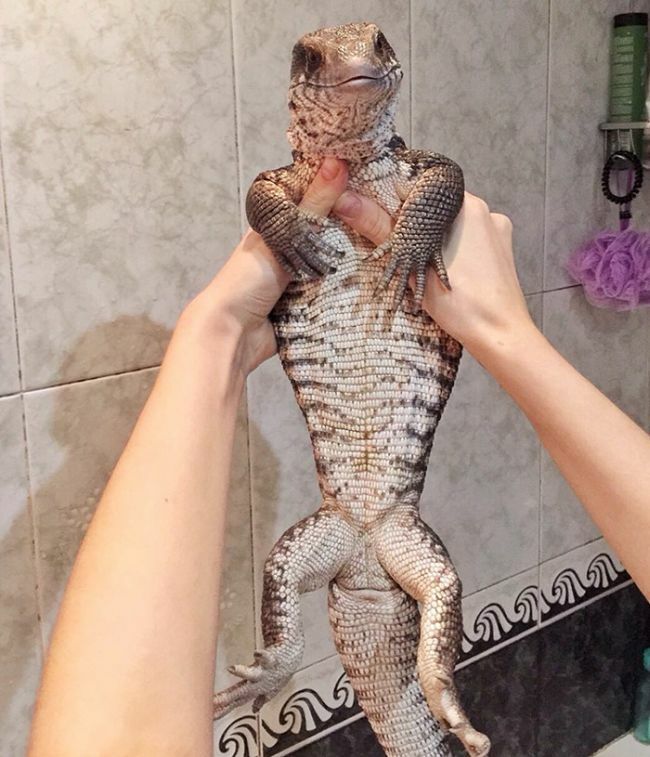 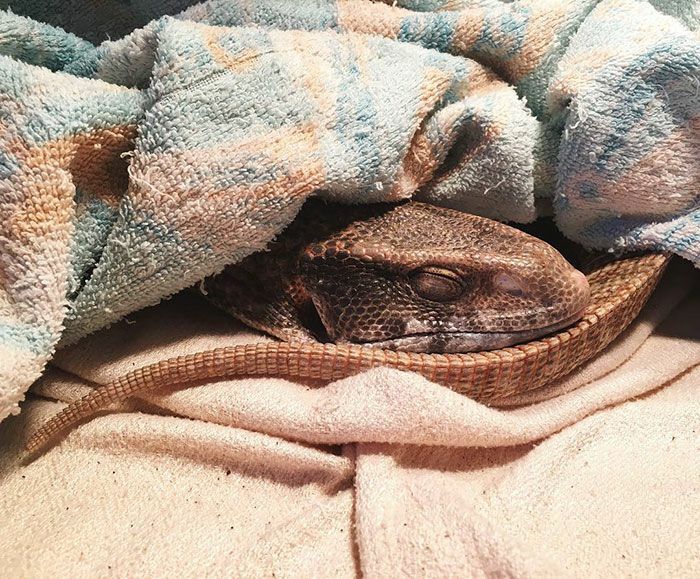 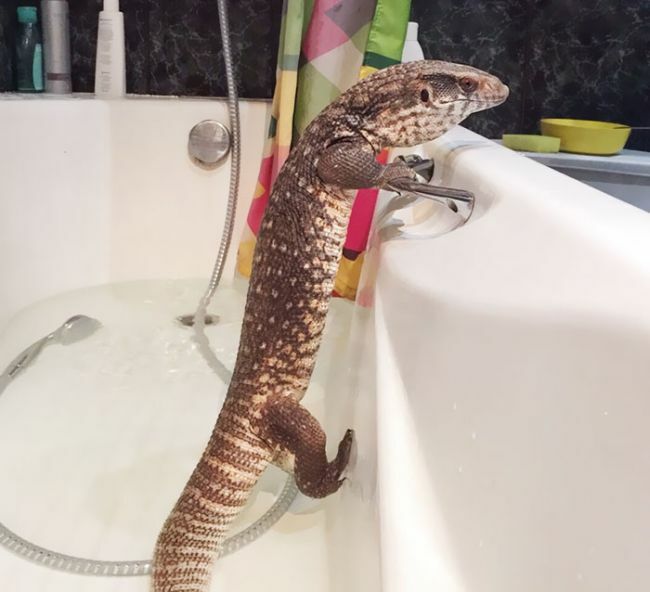 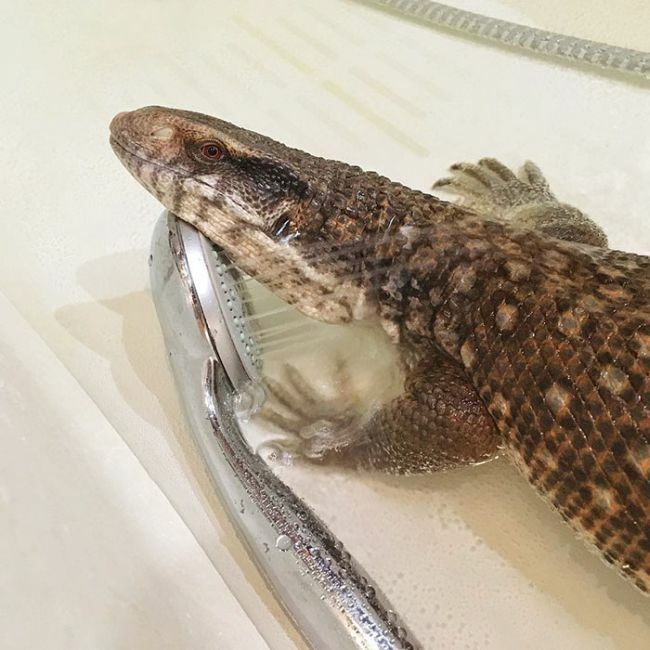 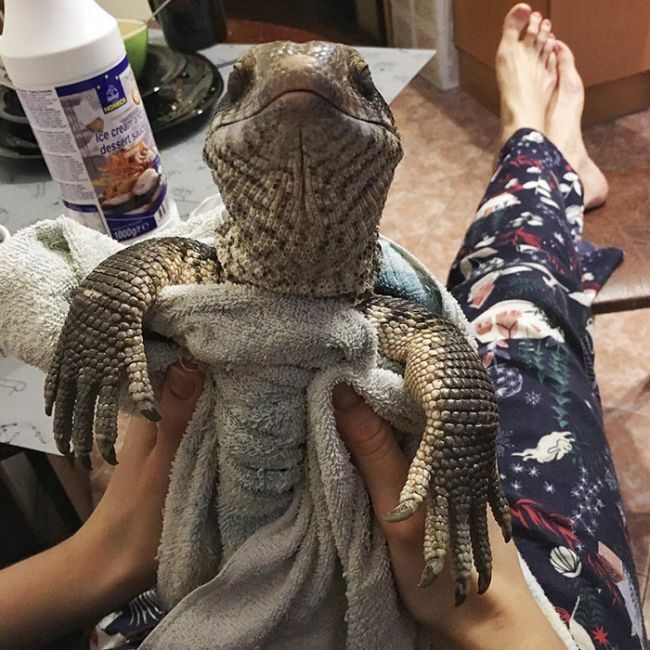 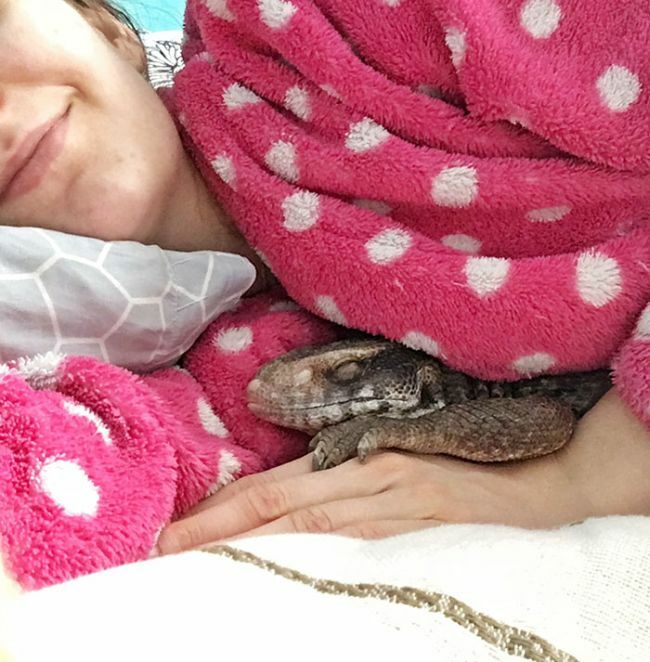 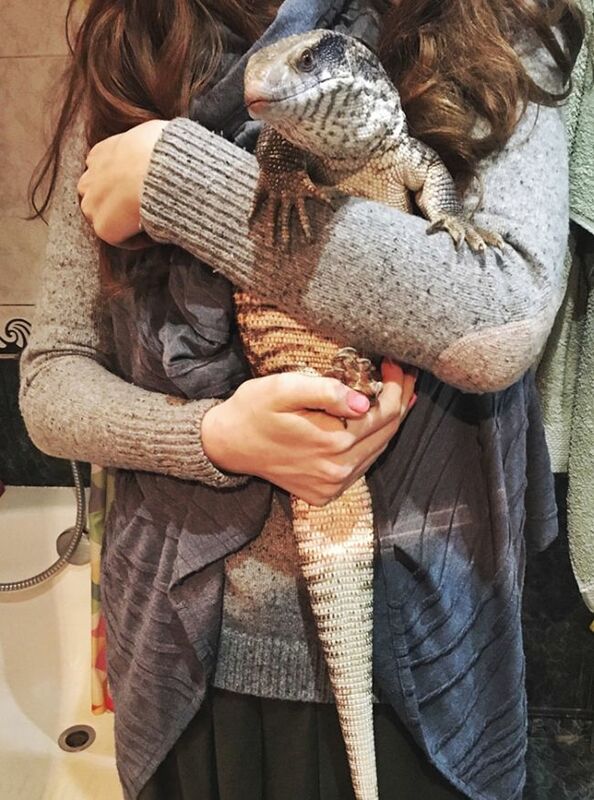 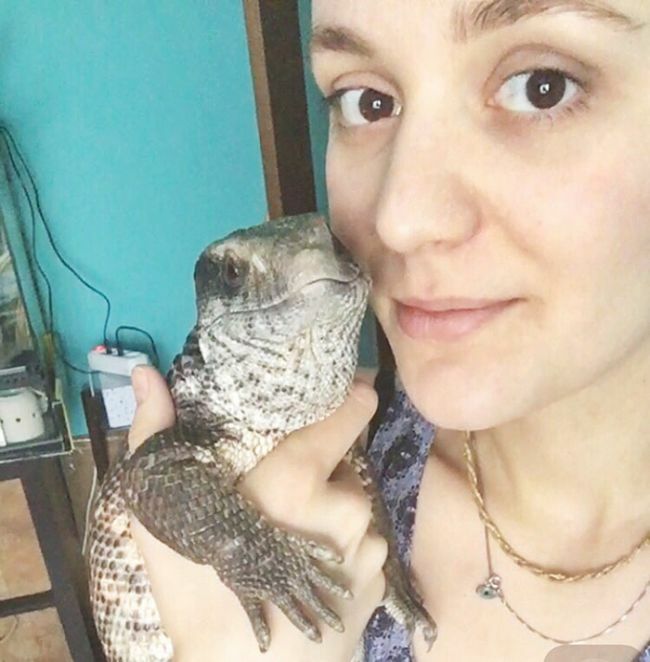 They're not cuddly like cats, but this lizard named Manuel is proving that they can be very cute when they want to be. 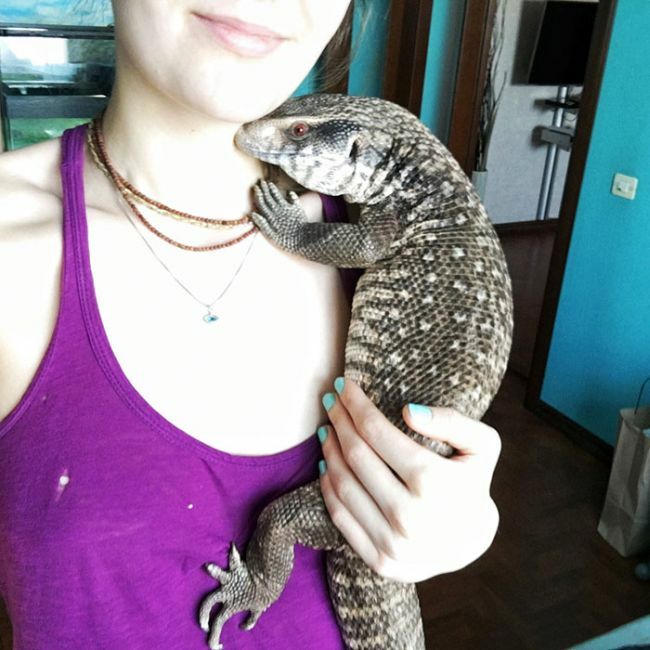 His owner says that he knows his name and always comes when she calls. 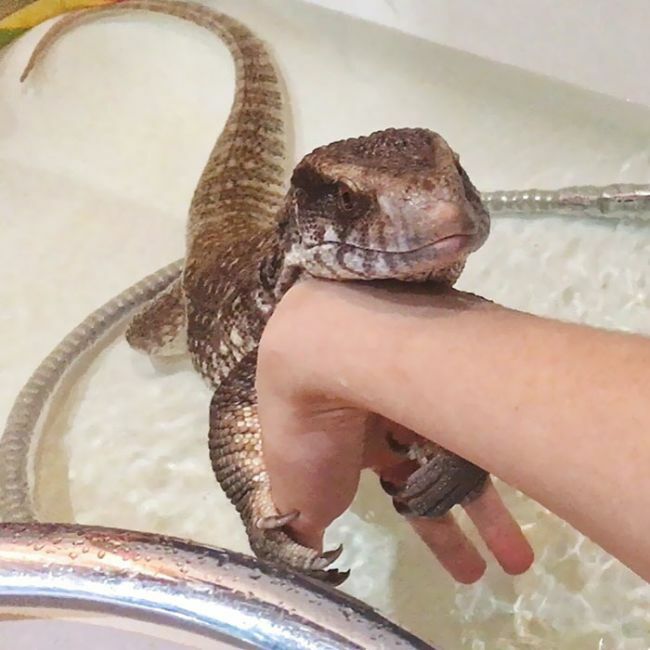 She even says that he likes to take baths. 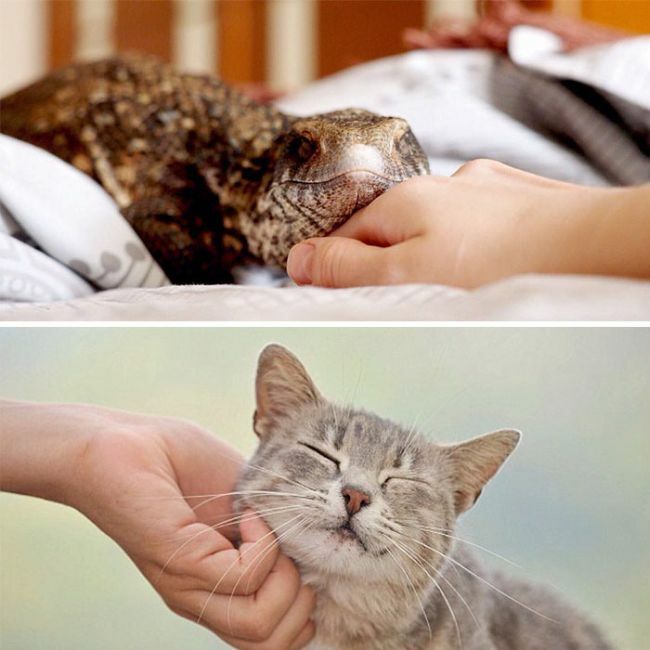 He likes you because you're warm -- nothing more.